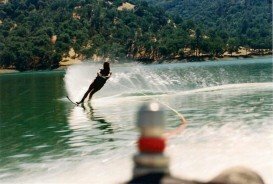 Lake Berryessa is situated in Napa County, California. It is the largest lake in Napa County and is formed by the Monticello Dam. The Dam provides with water and hydroelectricity the north region of San Francisco Bay area.